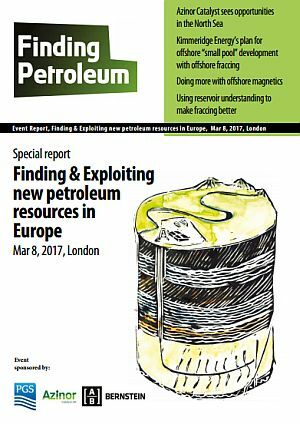 Whilst some hope for further discoveries of big oil and gas fields in Europe, a more realistic ambition may be the exploitation of Unconventionals – shale oil & gas, coal bed methane, tight gas, new types of reservoir – and the development of Marginal Fields. What can we say about each of these themes? The US experience with shale oil and shale gas offers a number of lessons to the rest of the world. Lesson #1 seems to be that the best ‘candidate shales’ are those that have acted as the source rock for a significant, even major, conventional petroleum province. In fact it is very rare that this is not the case. Lesson #2 is that the economics work best (or at current oil prices, only work) when you are in the “sweet spot”. The “sweet spots” of plays such as the Barnet, the Bakken, some of the Permian Basin are now clear, after much effort. Lesson #3 is that once you are in a “sweet spot”, technology can drive costs/barrel or costs/mcf way, way down. And IRRs way up! An important question therefore is – can “sweet spots” be identified in advance, before major effort is put in, big $s are spent? It seems to me that the jury is still out on that question! No doubt our US colleagues will figure their answer out as they move into other basins. But for us in this neighborhood, what does this mean for a “shale gale” here, or hereabouts? This is a topic that would be relevant in many mature basins of course, for example the UKCS, NOCS, GoM and several in SE Asia. Is this a fair summary of the issues, using the UKCS as an example? Marginal Fields and Infrastructure are linked together and there is a pressing need for 'infrastructure simulation', for SNS, CNS, NNS and WoS. The quoted number of Marginal Fields in the UKCS varies from ~80 to <400, perhaps reflecting the 'fallow' discoveries numbers DECC/OGA hold for relinquished acreage on the one hand to the undeveloped discoveries it is thought operators are keeping hold of on the other hand. What is needed is a data base of all these that can be placed on top of the 'infrastructure simulations. This will reveal which infrastructure is critical to future developments and how they might be developed. I assert that it will reveal that no new platforms are needed (though some would argue in favour of unmanned minimum facilities) as sub-sea tie backs can deliver everything. Then the activities needed would be 'surgical' appraisal (accurately describing a potential reservoir development's static and dynamic properties), reservoir simulation where the right combination of wells and costs can be recognised, drilling of course, and design/selection of subsea systems. These Lessons – and questions - we will address in our upcoming Forum; and we are looking for insightful presentations! Please contact me if you/your company would like to make a presentation. And Richard Mcintyre if you are interested in the sponsorship/exhibiting opportunities we offer. What about Coal Bed Methane? In 1985, following an Earth Sciences degree at Oxford, Ian joined Amerada Hess Limited, as a geologist, working initially in the North Sea. He transferred to Hess' international business, in a new ventures role, in 1991. After joining OMV in Vienna in 1998, in a combined technical and commercial business development capacity, he successfully led the acquisition of Cultus Petroleum NL; the first international hostile takeover by an Austrian company. Ian returned to the UK in 2007 when he joined private equity firm EDP, where he put together the portfolio of onshore assets that now form the core of Aurora’s business. Applying US hydraulic fracturing technology to UK shale exploration wells demands and encourages adaptations for both social and technical reasons. Exploration wells must not only test and hopefully demonstrate commercial potential but also provide reassurance to an uninformed and often misinformed public. In the UK, we have a far more concentrated population, usually better quality agricultural land and a greater challenge to gain the necessary social licence. In the eyes of many, including many politicians who have banned its use or plan to do so, hydrofracturing is viewed more as a bête noire, or worse, than a basic component of the petroleum engineer’s toolkit. Risk, real and perceived, and public inconvenience must be minimised. The present US technology is inefficient in that a minority of fracture stages produce the majority of a well’s production. Unproductive stages and unproductive fractures within clusters are not simply expensive and a source of unnecessary vehicle movements but may be actually detrimental to a well’s productivity. Empiricism has often masqueraded as design. Much greater quantities of materials are wasted than if the situation were reversed and the majority of fracture stages contributed to the flow. Reducing cost, minimising public inconvenience, gaining social acceptance and increasing well productivity go hand in hand. The results of a stimulated exploration well must be extrapolated or interpolated to other areas of a licence. To maximise the value of an exploration well the results should contribute to, and accelerate, the exploration learning curve. Hydraulic fracturing is a fundamentally a mechanical process. At least two basic geomechanical requirements must be satisfied if the exploration of a licence is to be optimised. First, some understanding must be gained of the processes controlling the effectiveness of multistage fracturing at each well; second a licence-wide model of the distribution of stress and the relevant mechanical properties must be constructed and progressively refined. This implies a programme of data collection, balancing cost against immediate and future benefit. In relation to well completion needs, this talk will concentrate on reservoir stress state with brief attention to reservoir rock properties. How and why each aspect of stress state affects well and completion planning will be discussed. The focus will be on less widely recognised but basic reservoir geomechanical realities, their constraints on fracturing operations and the justification for constructing licence-wide and local geomechanical reservoir models. A brief review of the basic data sources for building a geomechanical model of a licence prior to drilling and during an exploration programme in the UK, will be included, and what can be achieved for little cost. After wellsite and seismic survey experience, Tim Harper worked for a US consultancy before joining BP to build a technical service capability in hydraulic fracturing. At this time, stimulation vessels were just entering the N. Sea, requiring changes to the traditional US approach to suit UK offshore operations. Achievements included major cost savings in field development and joint receipt of the Royal Academy of Engineering’s most prestigious prize for advances in hydraulic fracturing. This is the only occasion the award has been made for subsurface engineering. An invitation followed to give a Friday Evening Discourse at the Royal Institution, a memorable challenge. In addition to the completions technical service, he devised and managed a programme to limit the risk to wells drilling through active faults in Colombia and the risks to surface facilities. This included monitoring of microseismic activity during drilling and testing. With Geosphere, he has worked on diverse geomechanical aspects of typical drilling and completion problems. After assisting Cuadrilla to investigate a well-known instance of induced seismicity, he has mostly concentrated on the fracturing of unconventional reservoirs. For more than 20 years, Geosphere Ltd. has provided geomechanical services to operators and other consultants. For the last five years we have worked mainly in the UK and developed procedures to describe geomechanical conditions prior to exploration drilling. Geosphere has also supported a programme of research, developing software to examine the interactions between numerous natural fractures and faults, and multiple hydraulically fractured wells subject to various stress states and fracturing histories. Nick Terrell is Managing Director and co-founder of Azinor Catalyst, a Seacrest Capital backed E&P company focused on the UKCS. The company is a qualified UK offshore operator and is focused on generating significant value for its stakeholders through advanced seismic technology and other geotechnical de-risking technologies ahead of drilling. Prior to launching the company in February 2014, with co-founder Henry Morris, Nick was Exploration Director at US Independent E&P company Endeavour Energy. Nick is also President of the Petroleum Exploration Society of Great Britain, the industry’s leading membership organisation set up to encourage, for the public benefit, education in the scientific and technical aspects of petroleum exploration.